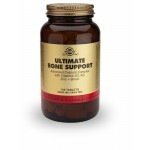 Many ingredients are required for building and repairing healthy connective tissue – that refers to our bones, joints, tendons, ligaments, cartilage, fascia etc. The nutrients required for connective tissue repair are not the only ingredients. Stress, lack of sleep and environmental toxins can affect our hormone levels along with possibly depletion in vitamin D. Potentially these factors result in increased cortisol, and decreased glucose absorption into cells which impacts on lower production of glucosamine ( which is required for cartilage repair). 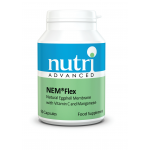 Whilst sub-optimal levels of nutrients from diet or supplementation may weaken the various connective tissues, it is often the inability to repair damage or inflammation which reduces the integrity and composition of connective tissues. Inflammation needs to be reduced before cells and tissues can make full use of nutrients. 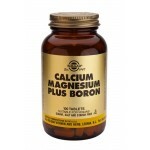 For general maintenance of connective tissues: Collagen, protein, Vitamin C, sulphur, vitamin D, magnesium, and selenium. 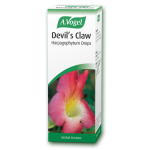 For repair of tendons, ligaments and muscles: All of the above plus an anti-inflammatory(e.g. 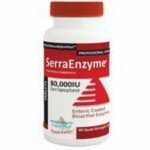 Serrazyme or Bromelain or Devils Claw). 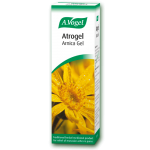 Comfrey oil and Homoeopathic Arnica are very helpful taken close to the occurrence of any strain or injury. 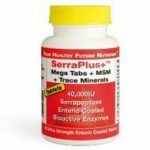 For injury to or deterioration of joints or cartilage: Bolster collagen, particularly with Sulphur. Take an anti-inflammatory, hyaluronic acid and/or Type II Collagen. The esterified fatty acid, Celadrin, or Turmeric (i.e. 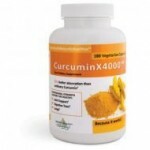 Curcumin) can improve inflamed joints due to deterioration from auto-immune problems. Omega 3 oils(1g/day of EPA) can also help in the same circumstances to reduce inflammation around a joint. Gradually low levels of key nutrients will lower muscle strength and those of ligaments and tendons. If these are weak then joints will yield more readily under strain and consequently wear and tear results. Collagen is a key component of most tissues but there are various forms of collagen. Collagen: the main protein of connective tissue. There are different collagens for different connective tissues. Collagen type 2 is useful for joints particularly undenatured collagen. Bioflavonoids particularly anthocyanidins (these phytonutrients help strengthen collagen fibres linkage and catechins (prevent the breakdown of collagen). 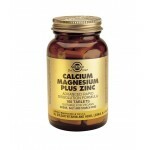 Vitamin C; Zinc, Copper, Manganese, Required for protein synthesis and SOD production. Hyaluronic acid and esterified fatty acids. 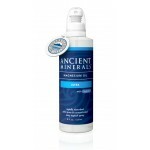 To retain moisture and reduce inflammation. Stimulates growth of connective tissue. Collagen is a protein, and other than water, is the most abundant material found in connective tissue- collagen accounts for more mass than all the other proteins put together. What makes this protein so useful and injury resistant is its combination of strength and elasticity. Unlike most proteins, which form clumps when gathered together, collagen is fibrous and can form mats, or chord-like structures (such as tendons and muscles).Collagen is the protein that forms connective fibres in tissues such as skin, ligaments, cartilage, bones and teeth. Collagen also acts as a kind of intracellular “glue” that gives support, shape, strength and bulk to blood vessels, bones, and organs such as the heart, kidneys and liver. Type I: Makes up the fibres found in connective tissues of the skin, bone, teeth, tendons and ligaments. Type II: Round fibres found in cartilage. Vitamin C Deficiency Equals Collagen Deficiency: Our body is continually manufacturing collagen to maintain and repair connective tissues lost to daily wear and tear. Without vitamin C, collagen formation is disrupted, resulting in a wide variety of problems throughout the body. Scurvy, the disease caused by vitamin C deficiency, is really a process that disrupts the body’s ability to manufacture collagen and connective tissues. With scurvy, the body literally falls apart as collagen is broken down and not replaced. The joints begin to wear down as tendons shrivel and weaken. One of the major problems with tissue destruction is the formation of free radicals. Free radical damage is typically associated with many chronic inflammatory disorders, injuries to the central nervous system and connective tissue injury. Suppression of free radical formation aids in the remodelling process. D -glucoruonic acid is a constituent of hyaluronic acid, which in turn forms the back- bone of proteoglycans. Proteoglycans act as a free radical scavenger or antioxidant.